Reveal a more polished complexion. 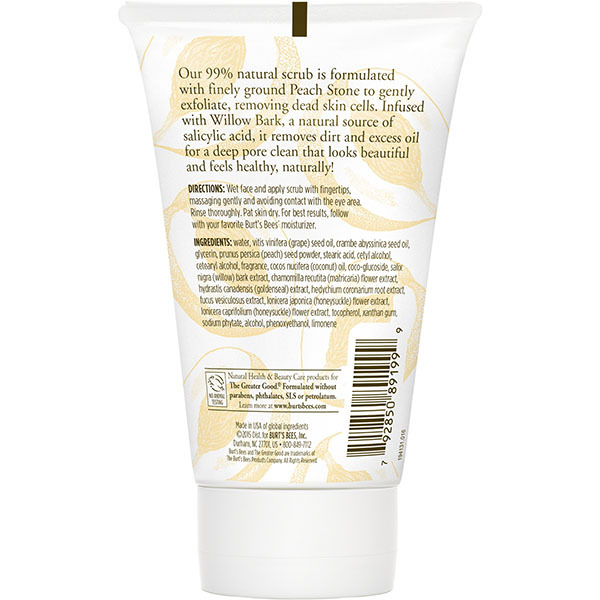 Peach & Willow Bark Deep Pore Scrub is rated 4.3 out of 5 by 271. 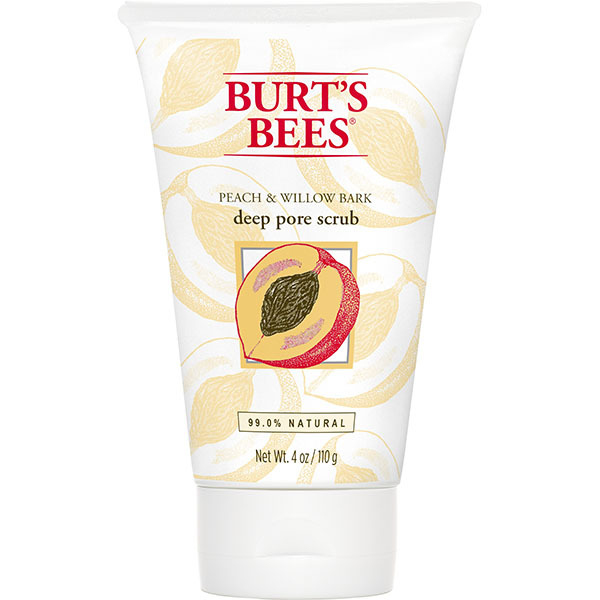 Gently exfoliate your pores with this scrub to clear them of dirt, excess oil, and dead skin while finely ground Peach Stone polishes your complexion to a smooth, natural radiance. Native to China, the Peach tree's (Prunus persica) large oval stone makes a great natural skin exfoliator when ground up. Wet face and apply scrub with fingertips, massaging gently, and avoiding contact with the eye area. Rinse thoroughly. Pat skin dry. 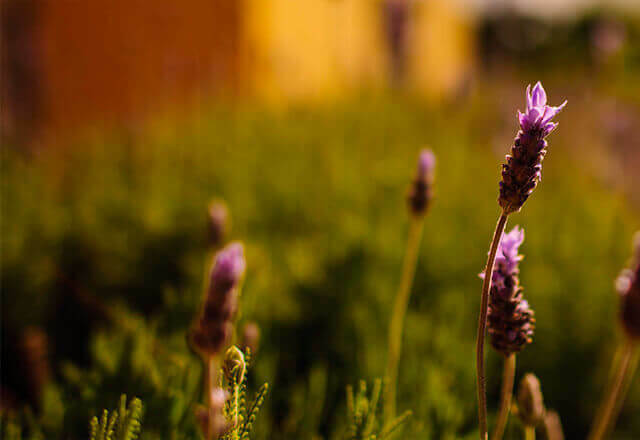 For best results, follow with your favorite Burt's Bees toner and face cream.